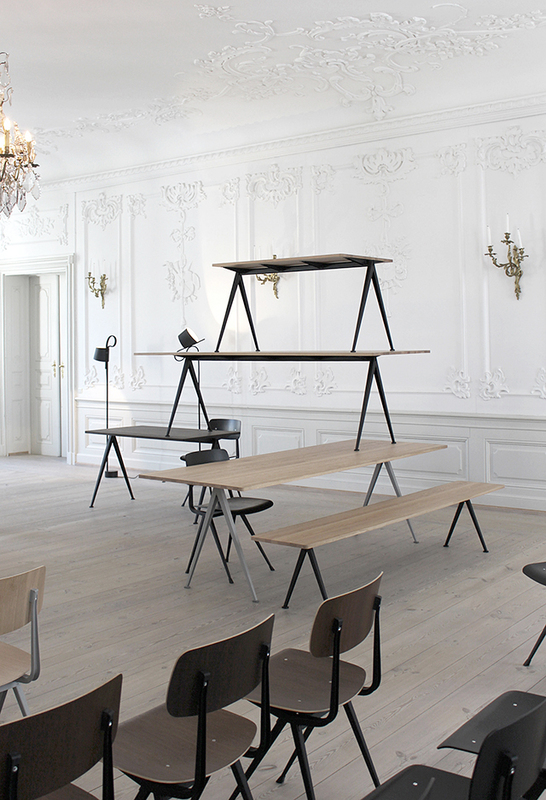 During 3daysofdesign we visited the HAY exhibition held at the historical Lindencrone Mansion in Copenhagen. 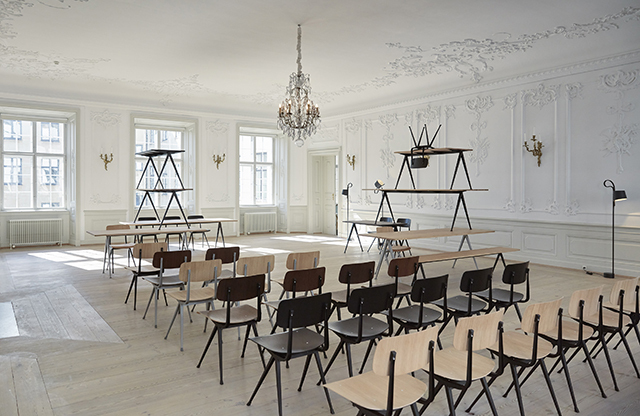 A breathtakingly beautiful location to showcase new products, these included the new Result Chair & Pyramid Collection. Originally designed by Friso Kramer and Wim Rietveld for Ahrend, the collection has been relaunched internationally by HAY. 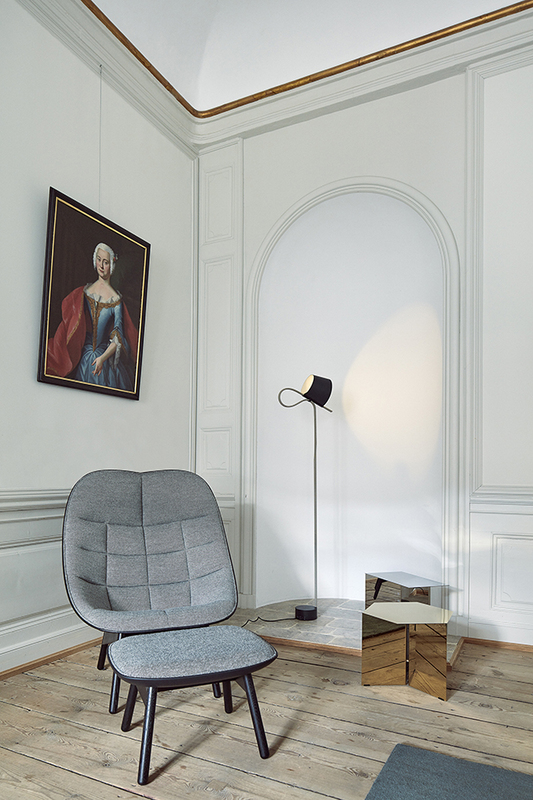 Created to be adaptable, light and strong, the Result Chair was originally designed by Friso Kramer and Wim Rietveld and the Pyramid Collection by Wim Rietveld in the middle of the 20th century, while they worked at Ahrend. Produced predominately for schools in the 1960s and 1970s throughout the Netherlands, the Result Chair has a particularly strong relationship with Dutch residents as it was a daily part of their lives growing up. Combining functional excellence with aesthetic lightness and adaptability, both designs are exceptionally sparing in their use of materials, are simple to construct and organic in their shape. They remain as relevant and useful today as the first day they came into being. 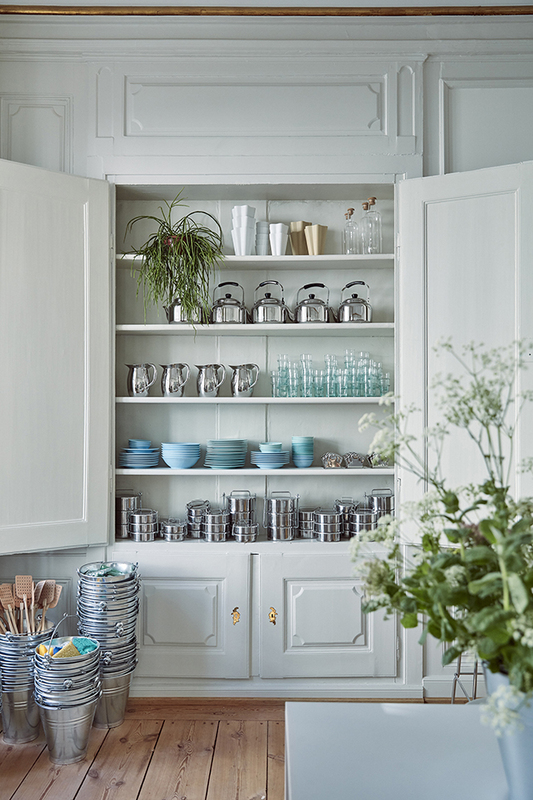 For the initial relaunch collection, the designs are available in authentic finishes and configurations. The cutout steel bases are in black or light grey powder coating, with either an oak or smoked oak seat, back or tabletop. 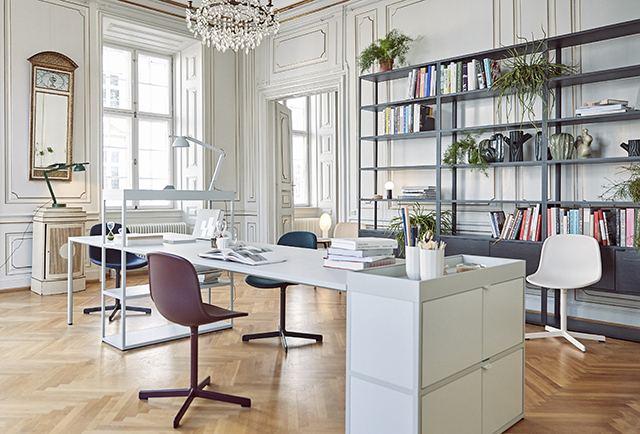 The Pyramid Collection features a number of different configurations of the design, including tables, a desk and a bench all of which are visually linked together by the elegant base frame. 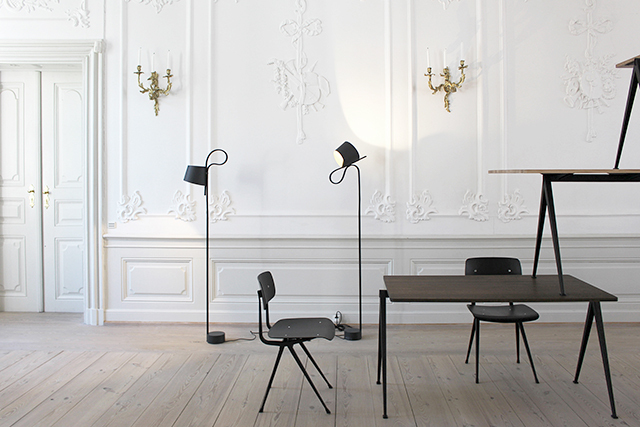 HAY and Ahrend are pleased to bring these designs back into production, for a new generation to enjoy. Here are some more images of the HAY exhibition that flowed beautifully from room to room in the mansion. 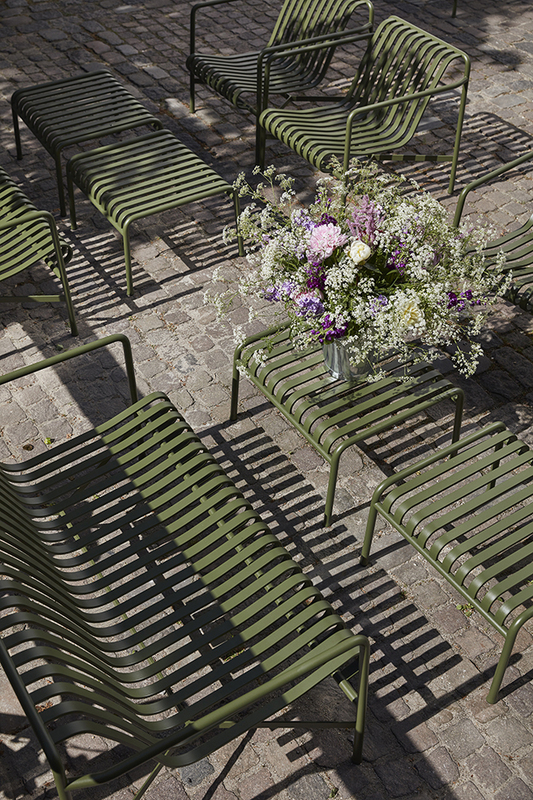 The gorgeous outdoor courtyard with the HAY outdoor Palissade furniture provided the perfect place to stop for a coffee. The new HAY Kitchen Market also featured inside the pop up. 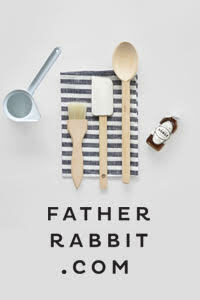 Consisting of a curated collection of essentials for the kitchen, co-founder and creative director of HAY Accessories, Mette Hay enlisted the expertise of Danish chef and restaurateur Frederik Bille Brahe to help curate and handpick the most useful and vital pieces for today’s kitchen. 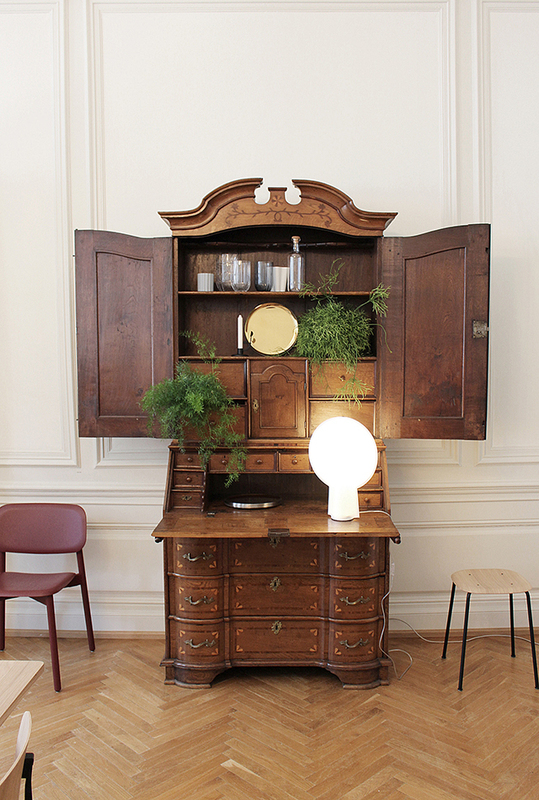 After joining forces to open a café during the 2016 Milan Design Week, Mette and Frederik were inspired to explore and define what made a functional and interesting kitchen. 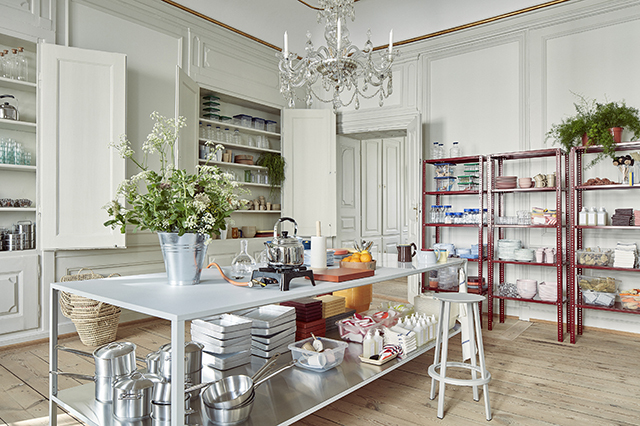 While taking inspiration from Frederik’s own industrial kitchen, they also travelled to Turkey and Japan where, like so many of Mette’s other projects, they found new energy and inspiration in the local environment and everyday products. 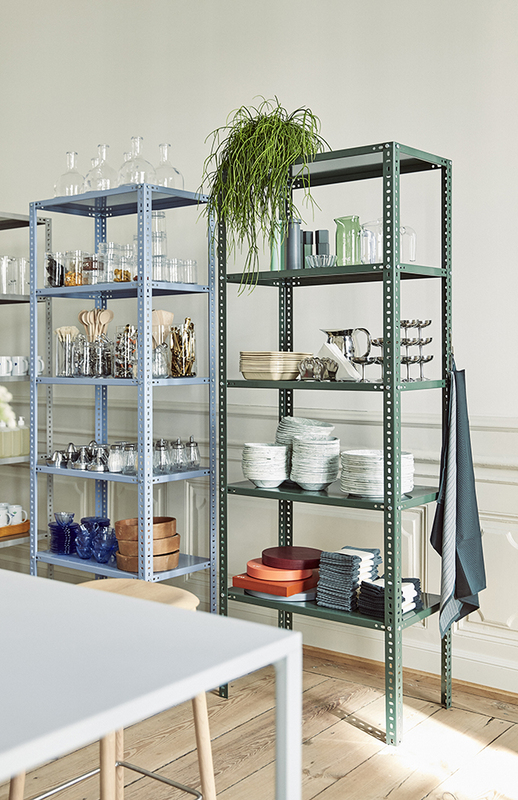 Mette and Frederik’s diverse backgrounds and shared passion for quality and design have led to a collection that is based on function and relevant for people in all stages of life. 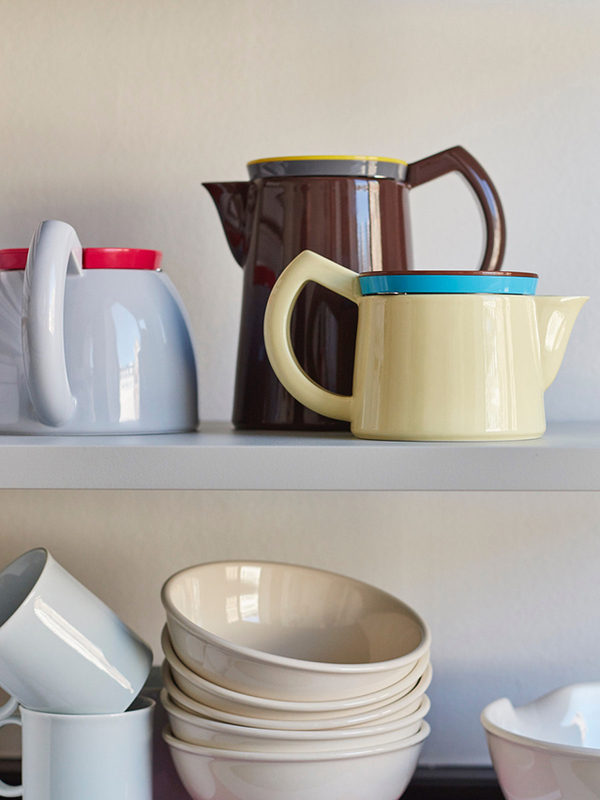 The collection includes everyday kitchenware like pots, pans, graters, cutting boards and peelers, as well as plates, cups, glasses and cutlery. The large selection of textures and colours and a wide range of prices allow for each individual to customise to their liking. 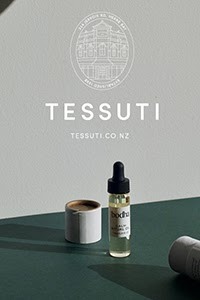 While many products are found from around the world, like handmade glasses from Morocco, water pitchers from India, sponges from Japan and soap from France, everything has been specially selected, reconsidered or reinvented for the collection. The collection also features new products designed by HAY, BIG- GAME, Shane Schneck, Clara Von Zweigbergk, Richard Woods and George Sowden. The collection will be officially launched at MoMA Design Store Soho on 22 August in New York.